Bringing the club to the gym! How many times do you say to yourself "that's it, I’m getting fit!" but go out raving instead? Well now you can do both! Liverpool Echo DJ of the year Lee Butler brings the club to the gym with a full stage show, including Lee on the decks spinning all the big club classics through a pumping sound system, lights and effects for a brand new get-fit experience! Join Lee on the decks with our Personal trainer as we push you through a tough 60-minute workout with a soundtrack of all the big club anthems - and burn over 750 calories! Including Dance-offs / Prizes for the best Raving Fitter / Free Glo Sticks and much much more. Sign up to receive Ravin Fit news and offers direct to your inbox, including info on new classes and one-offs. 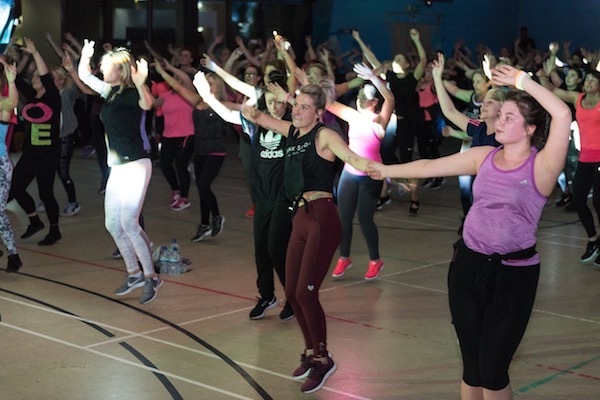 Want Ravin Fit to come to your venue?